Facing a Massive Emerald Ash Borer Infestation? Which Trees Should Stay and Which Should Go? A mere 15 years after its arrival in the U.S., likely after stowing away inside some packing crates from its native Asia, the emerald ash borer (EAB) has spread to dozens of states, leaving millions of decimated ash trees in its wake. This destructive pest migrates quickly, and if it has already been identified in your general area, your ash trees are in danger. Once an infestation has taken hold, you’ll need to act quickly to treat your tree and prevent potentially fatal damage; for low-quality trees or those with severe infestations, you’ll need to fell it, ensuring you dispose of the EAB-filled trunk in a way that will reduce the risk of spreading eggs, larvae, or beetles to other ash trees in the area. Read on for some of the factors you’ll want to consider when deciding which trees to treat and which to cut, as well as the safest disposal methods for trees with confirmed infestations. Because of their brilliant green exoskeleton, EABs are relatively easy to identify as compared to other tree parasites. However, even if you don’t notice bright green beetles swarming around your ash trees, there are a few other telltale signs that can let you know you’re dealing with an infestation. If you’ve noticed any of these changes in your ash trees, it’s highly likely you’re dealing with the invasive and hard-to-eradicate EAB. To Treat or To Cut? 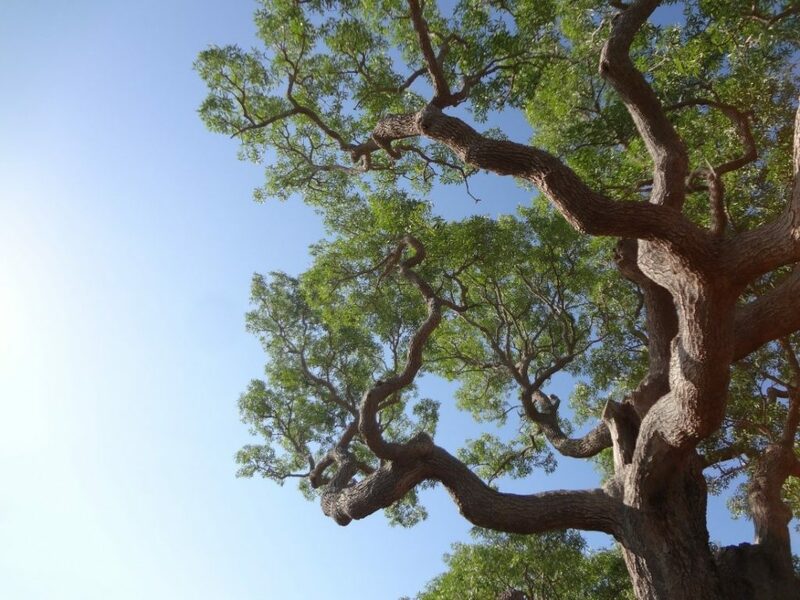 Ash trees are prized for their massive trunks and wide branch span, providing the perfect base for a sturdy tree house or just providing some energy-saving shade for your yard. Because of the many benefits of ash trees, making the decision to cut one down rather than treat it with insecticide can be a tough one. The primary factor that should drive your decision to keep or cut a tree will be the extent of damage it’s already suffered. Trees that have already lost a substantial portion of their canopy or have excessive bark loss may be too far gone to save; unless such a tree is in an ideal location in your yard or has other positive attributes that outweigh the risk that it may die even with treatment, cutting may be the best option. On the other hand, a tree that hasn’t suffered much exterior damage, other than the D-shaped exit holes and other surface indications of infestation, may respond well to treatment, continuing to grow and thrive for decades to come. Treating a small or stunted tree may not make financial sense, as planting a non-ash, fast-growing sapling may be able to eliminate your need for insecticide treatment while still providing you with arboreal beauty. Larger trees or those that serve as a focal point within your yard may be better worth saving. In some cases, it may be necessary to cut down even healthy ash trees as a way to quarantine nearby trees and stop the spread of the EAB. If you have multiple ash trees but only a single one appears to be infested, cutting this tree and using prophylactic treatment on your remaining trees may provide your best opportunity at containing the infestation. If you’re planning to sell your home in the near future, this may impact your decision as well. You may find it more difficult to sell your home if you’ve ended up with an unsightly stump in your front yard where a tree used to be; on the other hand, potential buyers may balk at the idea of purchasing a property knowing that future tree service will be necessary. Depending upon the health of the real estate market in your area and the speed with which you need to sell, you will need to decide whether treating or cutting your tree provides more benefits than potential drawbacks. Once you’ve decided a certain tree needs to go, you’ll want to enlist a professional to handle its felling. Even if you’re experienced with a chainsaw and have taken down similar-sized trees on your property before, using someone with experience in treating and managing EAB infestations can help prevent you from inadvertently infecting your neighbor’s trees. Many states have enacted regulations prohibiting the use of ash wood for firewood due to concerns about spreading the EAB from one part of the state to another. For the same reasons, you’ll want to avoid burning EAB-infested wood in an outdoor (or indoor) wood stove or chipping up the trunk and using it for mulch. Instead, you’ll need to dispose of this tree at a designated disposal site. Professionals will incinerate the stump, trunk, and branches in a way that minimizes the risk of EAB spreading, helping quarantine this pesky beetle within your county as best they can.